Dr. Wilson may recommend a regenerative procedure (bone graft) when the bone supporting your teeth has been destroyed. These procedures can reverse some of the damage by regenerating lost bone and/or gum tissues. Periodontal bone regeneration procedures are referred to as guided tissue regeneration. 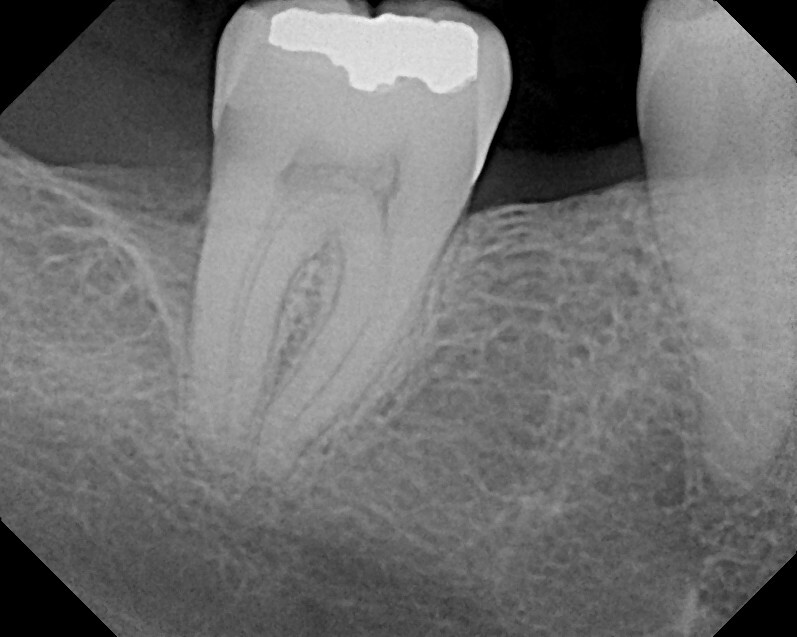 The goal of a guided tissue regeneration procedure is to rebuild bone supporting the teeth as well as reestablishing the ligament attachment from the bone to the previously diseased root surface. This is usually performed by Dr. Wilson by carefully exposing the roots of the teeth and their supporting bone and removing the disease-causing bacteria. Membranes (filters), bone grafts and/or tissue-stimulating proteins are placed in or on top of the defects in the jawbone to encourage your body's natural ability to regenerate bone and tissue. The membranes or tissue-stimulating proteins serve the purpose of allowing the slow growing bone to be isolated from the fast-growing soft tissues, thus guiding the what tissues are regenerated and where. 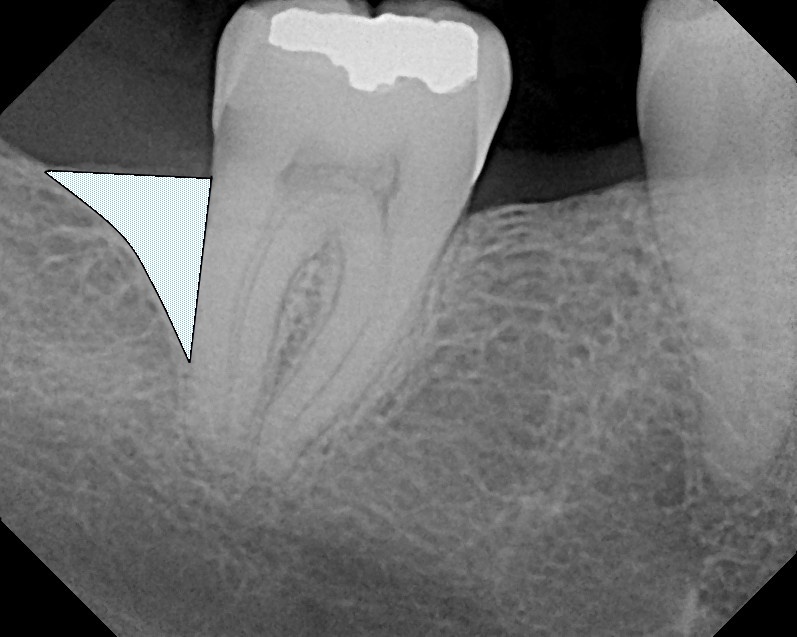 The far left x-ray above show a defect in the jawbone adjacent to the molar tooth. 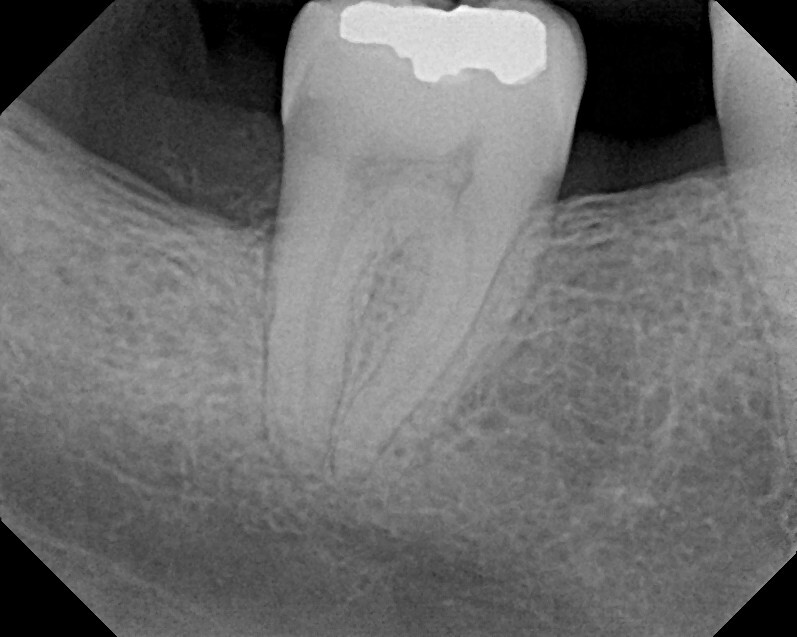 This defect leads to a very deep pocket that can not be properly cleaned and can lead to tooth loss with worsening. The middle x-ray outlines the area from the first x-ray where the bone graft was placed. The final x-ray on the right shows the regenerated bone after a bone grafting procedure. There are many options to enhance support for your teeth and to restore your bone to a healthy level. Dr. Wilson will discuss your best options with you.